Facilitating a smooth and hassle-free return experience for your customers can make you stand out in their minds and influence where they decide to shop. Though the reward is great, planning, executing, and perfecting a return policy is no easy task. Here are a few of tips for a top-notch return policy from our learnings from years past. Using a partner that offers return tracking, providing automatic return shipping labels, and encouraging customers to insure return packages are some practices that generally result in a better return experience. If Customer should or not pay for the return. Spainbox can provide a return label. 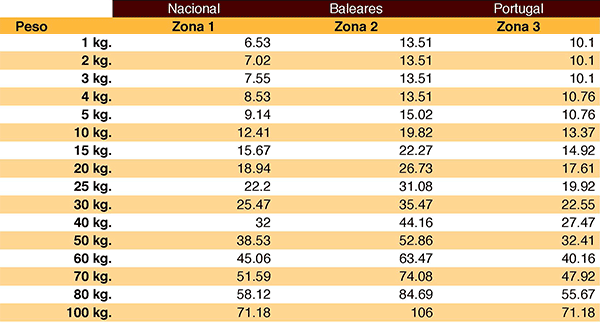 Shipping table rates are by kgs as follow. Spainbox will email you a proper shipping label to our warehouse. The customer should download this label and tape it on the return package and take it to the postal facility of their choice. Shipment will have tracking and will have insurance upto 200 euros included in the shipping cost. 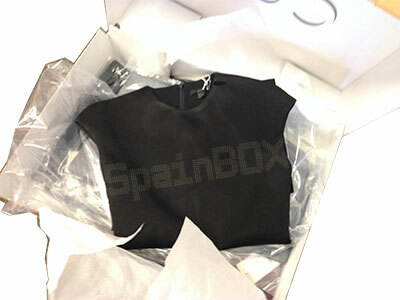 Returns being received by a Spainbox warehouse go through a handling process in order to be notified to the seller. Log in to Spainbox Account and see your inbox to check all your incoming shipments. You can manage there how would you process. Return label is prepaid using your credit at Spainbox, tracking is immediately available and you can track the return back to the warehouse. When the label is not prepaid, please ensure that your customer provides tracking to you if you wish to track the return. Once the return is processed at the warehouse, Spainbox will determine whether it is in good condition or damaged. You will receive a message regarding the ahipment on your dashboard at your account and by clicking on its details to learn more, you will see whether it was returned in good condition and back in inventory, or if it was damaged and no longer available for fulfilling orders. Product recall management: Management of recalls resulting from product defects and other circumstances, we can provide photos and detailes description of the product issues. We know the difficulties in making sure products are returned correctly. If the customer is disappointed the last thing they need is complex returns procedures. We help clients put in place simple to use reverse logistics process and accounts, allowing customers to return unwanted orders quickly and easily. Whether it be postal or a courier collection, we ensure customers get the service you want them to enjoy and avoid to receive any negative product reviews or feedback. 1. Summer Sale, the best prices for everything are during summer July and August and the post winter holiday clearance (in January and February). Inditex group Zara, Pull&Bear, Massimo Dutti, Bershka, Stradivarius, Oysho and Uterqüe are very popular fast fashion spanish brands, and clothing is cheaper in Spain, depend of your country you can save upto 100% if you buy at Spain. 2. Check for Coupons: You can often find valuable coupons and special offers from Spain merchants with a simple Internet search. You can also find on the SpainBOX.com Facebook and Twitter pages, and even in SpainBOX emails. 3. Join Retailer Mailing Lists: Many retailers ask you to join their mailing lists and receive promotional offers. When you do, you are much more likely to receive discount offers and special coupons. Some websites, including Groupon, will email you offers with significant savings. 4. Be Aware of Dimensional Weight: Large or bulky items can cost much more to ship than smaller items, even if they weigh much less. For more information on dimensional weight check our FAQ, remember that SpainBOX offer you consolidation and repacking services to help you save shipping cost, reducing the size of your parcels. 5. Become a Premium Member: As a SpainBOX.com Premium Member, you automatically get a 20% discount on international shipping costs. You also get a number of other perks, including free storage for up to 30 days, that make your shipping costs lower. 6. Consolidate and request repack your purchases: International shipping for a single item can seem expensive, but it does not cost much more to add more items to the package. 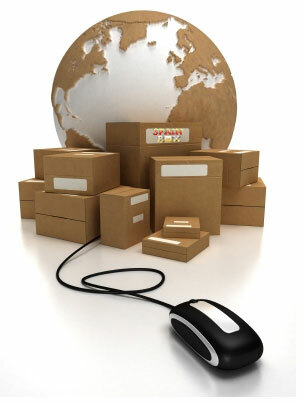 SpainBOX.com members can always save the most by consolidating multiple purchases into a single international shipment. 7. Follow SpainBOX.com on Facebook and Twitter: We routinely post money-saving offers from popular European merchants on our social media sites! You can find great savings when you follow MyUS.com on Facebook and Twitter. At Spainbox we have released a new service for your mailboxes online shipment management to help you to manage all your shipments received at your Standard or Premium address at Spainbox. If you haven’t applied still for an account, we suggest to compare all spainbox memberships and choose if you need a Standard or Premium account. Warm tip: Be sure that you update a delivery address (account -> shipping addresses). By default, when we receive a parcel for you, we will update it in your ”Action required tab”. Here you can choose if you want to send it (ship it), consolidate your parcels (consolidate) or just keep the parcel in our warehouse (don’t select an option). Go to the ”Action required” tab. Here you can see the parcels that we have stored in our warehouse for you. If you want to send one or more, just select it, go to the dropdown and choose ”Ship it”, select your shipping address, a courier service and click on ”Process”. Once you do it, your parcel will move to the next tab, ”In Progress”. Go to the ”Action required” tab. Here you can see the parcels that we have stored in our warehouse for you. If you want to send one or more in the same box or in the less number of boxes possible (only for Premium users), just select the parcel/s, go to the dropdown and choose ”Consolidate”, select your shipping address, a courier service and click on ”Process”. Once your parcel is here, you haven’t to do anything else, we are managing your shipment or consolidation request, and it may take about 2-5 working days on average. If you need a rush service, please, contact us or request it in the tab ”Special requests”. Take into consideration that, if you want to send outside the EU, we will request you a proforma invoice with the detailed content and value of your parcel/s. We can provide you with a template, please, contact us if you need it. If you have solicited a consolidation, once we repack all your items we will update you the new shipping price (if it changes once we reduce the volume of your shipment). Before we finish the requested services, we will move your parcel to ”Ready to ship” tab if you have sent us the requested documents and if you have enough credit for the shipping. Once your parcel is here, you haven’t to do anything else, we are managing your shipment or consolidation request, and it may take about 2-5 working days on average. We are preparing the shipping labels and your parcel with the requirements of the courier company, we also are managing the pickup of your parcels with the shipping company that you chose in the first step. If you have chosen PostNL as shipping method, you can track your parcel in your own country Postal services website, for example, if you are from the United States, you can track your parcel in the USPS website. Go to the tab ”Add/Renew your subscription -> Increase your credits”. You can pay using a credit card, Paypal, bank transfer, Bitcoins, etc. If you want to use bank transfer, please, contact us after to send it and send us the proof of payment. Take into consideration that our prices don’t include VAT, so, if you are going to send us a bank transfer and you are from an EU country, you have to add to the funds a 21% of the VAT. If you aren’t sure about how much money you have to send, please, contact us before to send the transfer. If you want to use a different method to the bank transfer for your payment, take into consideration that, if you are from an EU country, we will automatically add the VAT in the checkout, because all the prices on our website don’t include VAT. So, for example, if you want to add 100€ to your account, the system will charge you 121€ (21% of VAT) and you will receive in your account for your use 100€. If you are from a non-EU country, we won’t charge you the VAT. Many customers who have to send clothes to countries outside the european union for different reasons international shoppers prefer to buy fast fashion in Spain, at Zara, Mango, Bershka, Pull and Bear, Massimo Dutti etc. because it is cheaper to buy from Spain, they are moved from country and prefer not checkin luggage by the high rate of luggage lost or checkin supplement for luggage, want to reship from Amazon Spain, Erasmus students come to study to another country, to send a gift, etc. If the destination country belongs to the European Union, not pass inspection at customs. But if the country where you have to send the clothes is outside the European Union must you send a copy of your passport and proforma invoice or commercial invoice. The shipment of personal effects should not pay any fees or taxes in destination country, but you have to write Proforma invoice correctly and include required documents. Below are some tips to help you to reduce the customs fees in the destination country or even your recipient does not have to pay duties and taxes when the clothing is received at the destination outside the country out of the european union. Make a list of the items to be sent and clearly state that it is used clothing . Include copy of passport for shipments outside the EU. When the package of clothing or personal effects goes to a country outside the European Union, you must include a copy of the ID or passport. As in most cases our clients are not in Spain, do not have any kind of record with the Spanish tax office and customs must discharge the exporter, so the first time it takes 24 to 48 hours to give high passport at the tax office and that makes a little out of the packet delay. Once discharged passport, pack continues its transit, it happens only in the first shipment, the following fresh weld not cause problems because the passport is already registered or registered with customs. Sometimes we get calls customs agent to request information from the “exporter” and have to explain to the customs agent that our customers are individuals or companies that buy clothes online and have a mailing address with SpainBOX makes them arrange shipping their purchases to their respective countries. inspection and labeling clothes have the price, and this is different from that specified in theproforma invoice, customs will make you pay the recipient tax and a higher import duties. 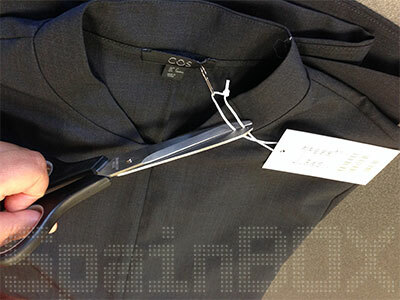 Specify a lower price, between 1 and 5 euros maximum per item if it is used clothing or personal effects . If the item is a luxe article you must write a higher price value. Do not use original packaging if the clothing is new, unpack everything and pack it all in one package without wrappers or the minimum number of boxes. You can use the number of packages you want but keep it smaller and compact. 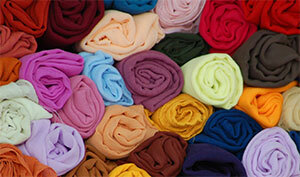 Roll clothes to save space by rolling the clothes in spiral, do you have less air between the clothes and we save space. If the shipment boxes has less size, the price will looks to be less too, and transportation costs will also be cheaper. If the volumetric weight exceeds the actual weight its considered the volumetric weight. The volumetric weight is calculated bymultiplying the length x height x width of a package and dividing by the volumetric factor, that depends on the courier normally between 4000 and 5000 . For example if a package weighs 5 kgs. but measures 40 x 30 x 30 cm. Applying the volumetric factor of 4000 would have weigh of 9 kgs. Select appropiate courier, UPS, Fedex, DHL, TNT or EMS. Depend of the country, type of clothes, complements, quantity, etc. one courier can do better service that others, according our experience we know what is the right procedure for every country and merchandise to import. Contact Spainbox , because we can do all this work for you even more, we can shop for you, consolidate, repack and reship with the right documents for you in spain and ship worldwide to your door. We have hundreds of happy customers around the world that already buy in europe and use our personal shopper and mail forwarding services. Countries that typically charge more often have more taxes or customs incidents are Argentina and Brazil, so if you are shipping to any of these countries, before to continue be sure to read all our recommendations to avoid paying import taxes at destination or at least reduce customs fees, in Norway customs duties are not so strict as others. If you live outside Spain and need to buy clothes at Zara, Mango, Pull and Bear, Massimo Dutti, Bershka or any european or spanish fast fashion boutique, we can help you. Spain is a world leader in fast fashion clothing, Zara is one of the most internationally recognized firms and offers the possibility to buy online in Spain and 86 countries. Inditex group ‘s strategy is focused on giving the consumer what they want instead to convince the consumer to buy something . If your customers like a particular model of clothing, they are able to get that information from your customers and turn it into a product in a very short time, can produce between 300-300000 parts as the need and are able to introduce a new product on the market in just 1 day. If you have any question or want to share your experience sending clothes overseas, please do it writting a a comment below. There is a huge demand for Europe quality goods and products among consumers all across the globe. But, not all the products that are made in Europe are available to them at their local shops or stores. One of the most common trends that you will come across in most of the popular online fashion stores located in Europe is that they will not ship the products to consumers who are located outside the Europe. Consumers outside the Europe who are interested in buying their favorite Europe clothes or goods need not worry or get dejected by the shipping policy of Europe online stores. They can depend on the mail and package forwarding services to get their favorite products shipped to any location in the world. If you want to buy any of the desired Europe made products from popular and different online stores in Europe Union, then you seek the services of popular mail and package forwarding services like Spainbox to get the delivered to your permanent address anywhere outside EU. They will provide you with a real European address where you can direct the goods that you like to purchase from these online stores. All you need to do is to provide this address as your Europe shipping address when making purchases and the products will be shipped by the store to the address. These services will be having warehouses of their own to accept these parcels and products of their international customers. They will collect your packages and arrange for delivery of the products to your destined international address within one to five business days. The following are the basic steps that you need to follow to get EU products shipped to your international addresses. The first thing that you need to do is to get registered as a member with a popular and reliable mail forwarding service provider. The service will provide you with client address based in Europe where you can get out goods that you buy from online American stores shipped. 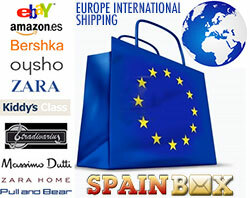 Next, you need to visit the online EU store, shop for your goods and mention the Europe mail forwarding address. The forwarding service will receive the mail shipped by the store on your behalf and will notify you of the arrival of your package. You have options to buy more Europe goods and store them at the temporary address provide by your service provider. Once you have completed your shopping, you can ask the forwarding company to repack your products into a single bulk pack to consolidate all your packages and to ship it to your official address located anywhere outside the Europe at affordable prices. Shopping for high quality and durable Europe made products and goods is made easy and convenient for international buyers by Spainbox. All you need to do is to get registered at spainbox.com and shop for your favorite Europe products and all the headache of shipping the products safely at affordable prices to your international addresses will be taken care without any hassles. Consolidation services can makes you save upto 40% shipping to your country. If you have a blog, website, forum where your visitors are International Shoppers, European shoppers, Expatriates from europe, Frequent Travelers, International Businesses, US or European Businesses, we can offers you now a better way to monetize your visitors. offering an interesting service for your visitors to get a Mail forwarding address in europe where they can receive purchases, parcels, mails, consolidate shipments and receive to his country of residence using registered mail, or using best couriers services from UPS, Fedex, DHL or TNT. Commission start at 20% from our membership fees. New orders/customers only. Two-tier affiliate program pays lifetime commissions between 20% and 35% on the first tier and 10% on the second tier. Option to use COUPON codes to give special discount to your customers (every visitor is assigned to you as soon as he comes from your assigned coupon code). Coupon is exclusively assigned to every affiliate, so we can know what customers are coming from you even without using cookies. Customer is assigned to you forever; that means that you get commission from all their future orders. The only exception is when the customer comes directly from a different affiliate website. In this case, the other affiliate will receive the commission. Payments are sent by Paypal or check. You can ask for affiliate payment directly from your control panel. Sign up for our affiliate program here. Promote and get money from new customers coming from your website. You can also sign up customers manually through your affiliate administration page.